Are you doing LIVE networking for your home business? What are you doing for connecting with people in your mlm business? Do you have a plan for networking in your network marketing business? LIVE networking is still one of the most poweful things you can do, especially today with meetup.com and upcoming.org. 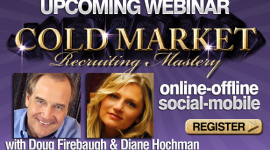 Social Media LIVE networking events are powerful recruiting spots that can yiled some great results. Online is great- but LIVE is great too. Do YOU LIVE network consistently? What is the MOST NORMAL and MOST NATURAL for you to talk to people and expose a message to them? Is it giving them something to listen to, watch, read, or experience? You need to decide what that would be as that is what you will be best at when talking to people about your products or program. What you feel the most comfortable with you usually do more often and more powerfully. Operating from STRENGTH is critical. And when you do, your results generally are so much more powerful and enduring. There could be many answers to what people feel comfortable with, bit whatever YOU feel comfortable with, you should start with. We believe that the OPENING Conversation is critical and all part of the Networking process. It does not matter if you are in a networking session, at dinner, at the mall, at a party, or even at church. Your opening conversation is what is going to impact the prospect and get them to want to listen to your message. 1) Network Where People Are. 2) Network Where People Advertise. 3) Network Where People Assemble. 4) Network Where People Achieve. 5) Network Where People Ask- for MORE. These 5 Rules of Power Networking concerning networking are critical andwe are going to go over them briefly. This mean you need to be on the lookout for places that people are networking. They are listed in many places. And we will give you in future posts several places to check for your business as well as home business where to go to connect with people that are natural networkers. Where do people advertise? Where do people spend money for exposure? These are the people that are SERIOUS about their business. Connect with them and tell them about your thoughts and tactics for networking and success. Where do people gather and why? There are so many places that people assemble and meet. You need to be there and connect with them and do it in a big way. Where do you find the places? We are going to teach you. It is called the “Winners Circle.” Where do the winners go? How do you get access to the winners in network marketing and how can you connect with them and even maybe meet them? Simple. Take one to lunch and ask them how they did it. Then ask for referrals to also interview. Many people are always looking for more out of life. Many networkers can be found in places as they are looking for more, searching for more, wanting more, and demanding more for their business. You have that more and we will teach you some places that you can go to find them and tell them in future posts. These are 5 Powerful LIVE networking rules for your mlm network marketing home based business. 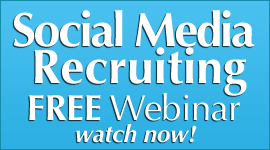 FREE Social Media Recruiting ebook-Social Recruiting Power-over 50 secrets! The 5 Steps to MLM Magnetic Networking. 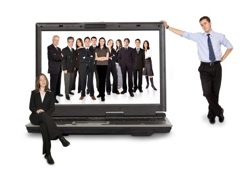 Have you ever networked live in a meeting or an event for your home business? 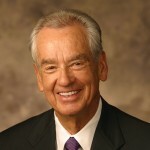 What did you say about your direct sales business? 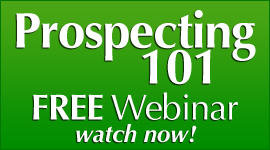 What questions do you ask the prospect when networking for your network marketing business? There are 5 steps that we have found that works amazing in a live event. Below are some opening questions and then a breakdown of the Magnetic Networking process. And this will create the start of a CONNECTION right off the bat, and also establish who you are to the Cold prospect, from one professional to another. Network Marketing is a profession, and you need to start treating it like one. This is the proactive part of it, and it simply gives them a chance to engage the budding relationship, or not. Most professionals do have an interest in increasing their business, so you will get some interest, and some time with many of them. These are the 5 Steps to Magnetic Networking for our mlm network marketing home business. 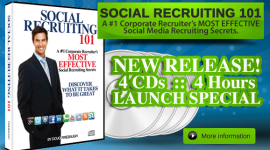 FREE Social Medai Recruiting ebook- Social Recruiting Power- over 50 secrets! 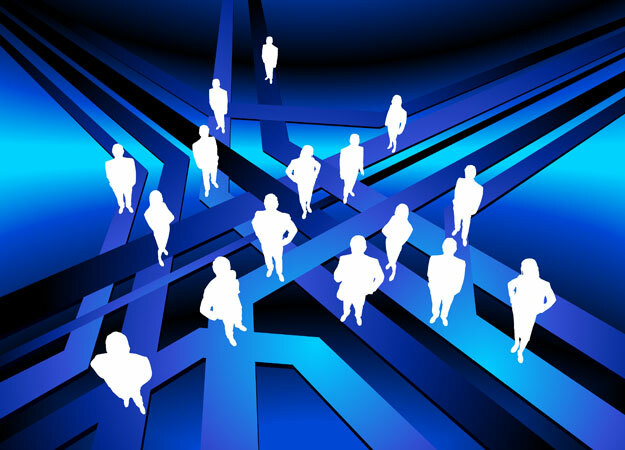 Do you ever network in a networking environment for your home business? Have you ever been to a Chamber of Commerce meeting for your network marketing business? 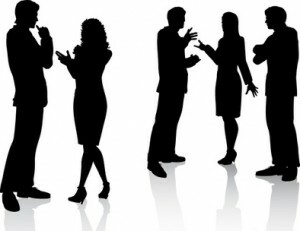 Do you know what to say in a networking event for your mlm business? Conversation RULES in a networking event. And it can be an ONLINE as well as offline event. There are many “networking events” in social media today, and they are almost as powerful as LIVE networking events face to face. Keep the conversation focused on the person in front of you and make them a Superstar at a Conversation of one. Keep the focus on THEM and all they bring to the event. Do NOT go off and start talking about YOU. Give them a chance to ask about you and who you are, what you do, and other questions they may have. If you WAIT and let them ask you, what you say will be more credible and more MAGNETIC. THEY asked the questions, and you simply replied. Networking is simply “Casting your NET out and see what kind of Connections you can scoop up in it.” That is a really cool way to look at it, as all networking is for is making NEW connections that may be of value in the future for both of you. These are 14 powerful networking tips that will rock your mlm network marketing home business. 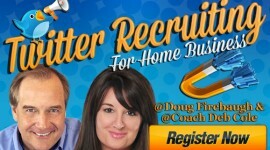 The One thing that Just about ALL MLM Recruiters are Missing. Sending Success Signals for a GREAT First Impression. Are you aware that there are “Success Signals” that you can display that PULL people towards you and your home business? Are you sending the WRONG signals when you are networking for your network marketing business? How can you display these signals for your mlm business? If you take the time to learn these Success Signals, you will find that they will work for you in any and all situations. a. It is ALL about the perception of Leadership and Power in your Presence. b. It is about the Signals that you are SENDING – not just talking. c. Signals must be CONSISTENT- and not timid or hesitant. Prospects when Networking will “size you up” when you walk over, so make a GREAT first impression by the right Success Signals that they will see from you. What are the Nine Success Signals for networking for your home based business? So far we have focused primarily on the pitfalls to avoid; but what messages should be sent, and how? 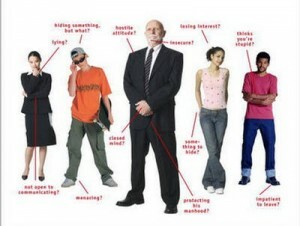 Here are nine general suggestions on good body language for any networking situation or conversation. 1. Walk slowly, deliberately, and tall upon entering the room. That brief, slight raising of the brows that calls attention to the face, encourages eye contact, and (when accompanied by a natural smile) sends the strong positive signal that the conversation has gotten off to a good start. 3. Use mirroring techniques. In other words, make an effort — subtly! To reproduce the positive signals your prospect sends. (Of course, you should never mirror negative body signals.) Say the prospect leans forward to make a point; a few moments later, you lean forward slightly in order to hear better. Say the prospect leans back and laughs; you “laugh beneath” the prospects’ laughter, taking care not to overwhelm your partner by using an inappropriate volume level. This technique may seem contrived at first, but you will learn that it is far from that, if only you experiment a little. 4. Maintain a naturally alert head position; keep your head up and your eyes front at all times. when you do so, look confidently and calmly to the right or left; never look down. 6. Do not hurry any movement. 7. Relax with every breath. 8. Keep a Pace when Speaking and talk with Authority. 9. When leaving, leave with a smile and thank everyone for their time and then disappear. These are Nine Success Signals that you can send to increase the power of your first impression in your mlm home business. This Would happen if you Only talked to 2 People a DAY???? LInkedIn Recruiting for home business is one of the most powerful ways to create an endless flow of HIGH QUALITY leads for your business. You only need ONE High Quality Lead for every 50 leads anywhere else! They are GOLD for your home based business and income. And ALL are looking to NETWORK. How would You like a steady flow of High Quality Leads contacting you daily asking about your business and products? I average anywhere between 1 to 3 High Quality leads a day- CONTACTING ME for information on what I do and if I can help them. That is what is on LinkedIn folks- High Quality Leads and prospects! And if you know how, you can get more leads and business from LinkedIn then you can handle. You read that right. Just last night, I had someone email me about the possibilities speaking at a seasonal event in December. Then they mentioned about discussing possibly speaking next June at a National Conference. They got my information on LinkedIn. What would that be worth to you HONESTLY if you had anywhere between 30 and 90 HIGH QUALITY leads EVERY MONTH for your home business and MLM? I think you would agree it would help dramatically. Yes, you need other social sites as well, but there is NO BETTER PLACE for High Quality Leads then LinkedIn. How does this happen on LinkedIn for me? And how can it happen for YOU? There are what we call “The 3 V’s” of LinkedIn that you must be and practice which will set you above most people, and set you up for those kinds of High Quality leads seeking you out. You MUST be Visible on LinkedIn in many areas. You must understand the culture of LinkedIn – NETWORKING. And if you create a Visibility that people see you a LOT and learn that you are a “GO TO” person in your field, you will get a TON of leads on LinkedIn. This is just one example of the High Quality leads that are possible for you if you are VISIBLE with your LinkedIn Profile and also networking. Being Visible is important, but being seen as Valuable is IMPERATIVE. High Quality Leads are looking for High Quality Answer and Solutions on LinkedIn. And you have a GREAT opportunity to create a Valuable Presence in your niche or profession with your words, connections, contribution, and presence on LinkedIn. Valuable to prospects is to be seen as AN AUTHORITY and also a Solution resource for the challenges that your prospects have and your products solve. 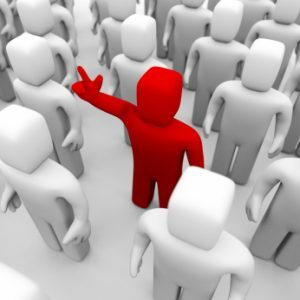 If you are daily seen as an Expert and Professional, people will SEEK YOU OUT as they do our company. Become Valuable to people with SOLUTIONS, ANSWERS, INFORMATION, and FRIENDSHIP..
Prospects must see you as VIABLE. This means that you will be in business NEXT YEAR and the following year. That is what a High Quality lead is looking for- to build a possible Relationship. Yes, they are looking for answers, but also Long term connections. You must be seen as a Viable Resource for information and solutions that can HELP MOVE PEOPLE BEYOND where they are. That is what your products, business, and expertise does. And if you are seen as Viable and Serious about your profession, people will SEEK YOU OUT. There are many secrets to becoming Visible, Valuable, and Viable that result in daily High Quality Leads seeking you out. And these prospects have the money to solve their problems as well. That is NOT an issue on LinkedIn. If you would like to take your business to a higher level and actually experience what I am blessed to everyday – with high Quality Leads contacting me for possible business-then I would suggest attending the “LinkedIn Recruiting Secrets 101” webinar Next Thursday September 22 at 8 PM est. Could you use 1 to 3 people contacting you DAILY asking about your business? Happens to my Private Clients daily as well as myself. 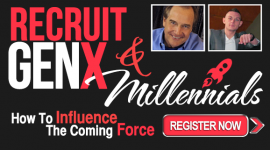 A # 1 Corporate Recruiter in the nation for a Recruitment firm has helped me put this together, and it is incredibly powerful stuff. And the PRICE GOES UP THIS WEEKEND folks- so DO NOT DELAY. There are ONLY 250 seats and once they are gone- they are gone. And even if you register after the fact for the replay of the webinar- you will not receive the insane bonuses that you will get if you register NOW. 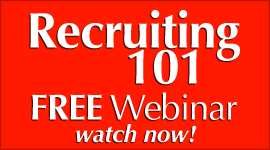 Learn how to PULL High Quality Leads daily to contact you like I have been blessed to do- with the LinkedIn Recruiting Secrets 101 webinar. 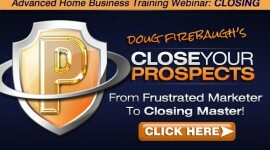 It will change your business and lead generation! Again, tuition is going up THIS WEEKEND. You CANNOT AFFORD NOT to attend for it will transform your home business! Endless leads on LinkedIn? READ THIS! Does Your Social Media Stink? What is the Right Marketing That Works?